The legendary quartet will reutrn to Scotland in support of their latest album ‘Like Clockwork’ which is their first release in six years and has received massive critical acclaim since its release. 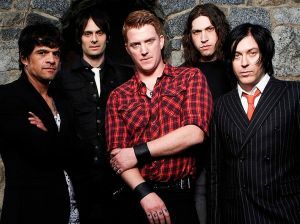 Fronted by Josh Homme, Queens of the Stone Age was formed in 1996 following the dissolution of Homme’s previous act Kyuss. Since releasing their self-titled debut album in 1998, the band have achieved significant critical and commercial success, developing their heavy rock style further with records such as Rated R, Songs for the Deaf, Lullabies to Paralyze and Era Vulgaris.